Even in the smallest corners of the garden, there’s room for this Potting Shed. 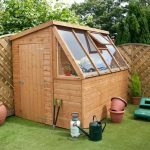 Sized at 8×6 it provides a light and airy space which is perfect for keen gardeners. 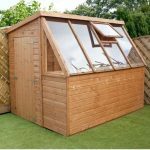 Far more than just a storage space, this potting shed has been carefully designed to maximise the elements that are prime for planting, seeding and potting. 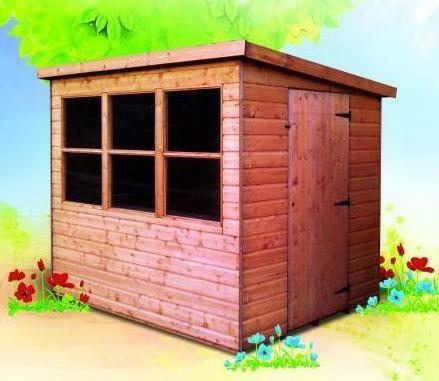 The exterior is built from a sturdy 12mm tongue and groove shiplap which is fixed to 44x28mm framing. 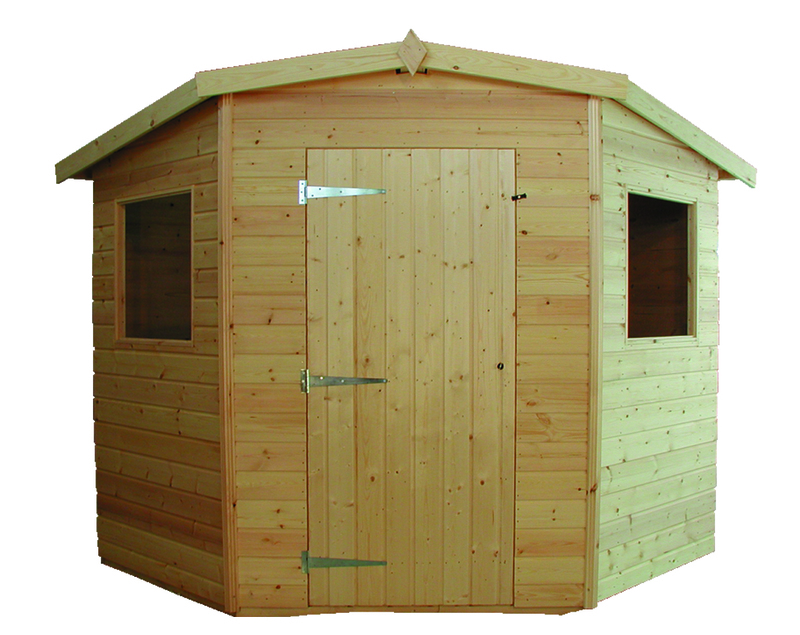 Both the roof and the floor are covered with the same tongue and groove cladding which provides excellent weatherproofing, keeping the contents of your shed warm and dry. 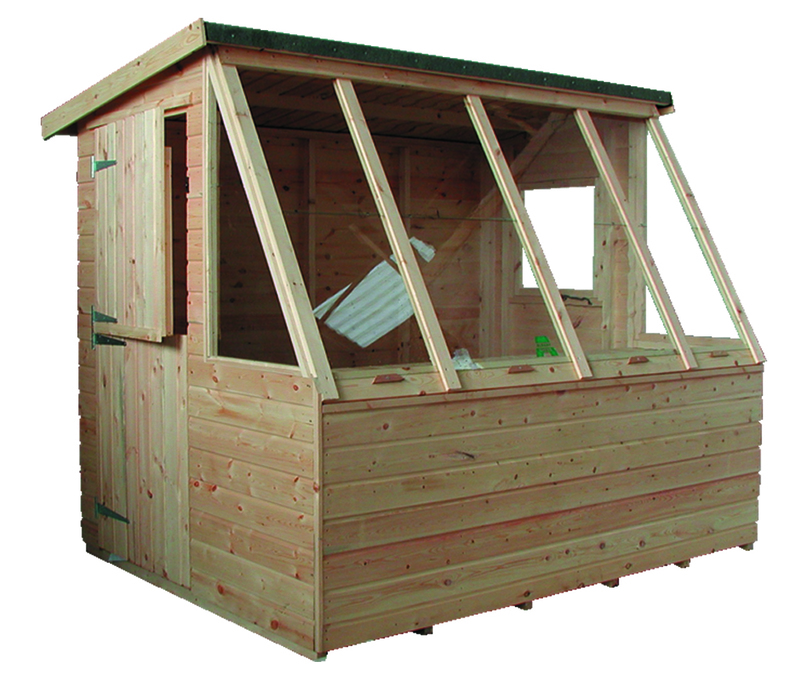 The pent roof slopes from front to back, encouraging maximum drainage and protecting the timber. To the front of the shed there’s four large windows which let in lots of natural light, plus one skylight which opens providing ventilation. The windows are made from styrene rather than glass, which is a safer option and is shatterproof. Styrene is also UV resistant, helping to provide fledgling plants with protection from the strongest of the sun’s rays. 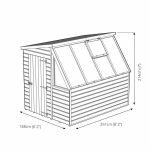 This potting shed is made from premium grade timber which has been ethically sourced and is manufactured by experts here in the UK.